This belt is as beautiful as it is practical. Like all of our belts, it features heavy-duty construction with two layers of 12-ounce leather and a strip of Kydex sandwiched in between. But The Gunrunner features a highly-polished finish, two rows of stitching and twin keepers, for a truly distinctive look. The tongues are thinned slightly to reduce break-in time. 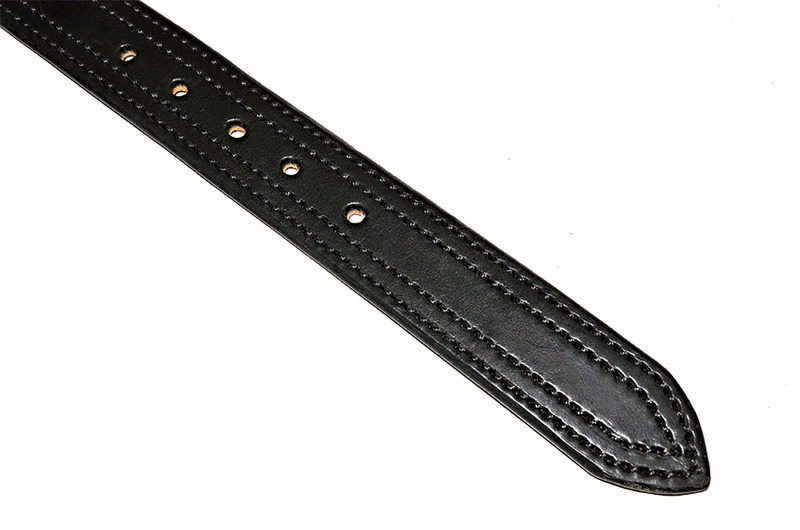 They come standard with heavy-duty roller buckles, but other buckles are available on request. 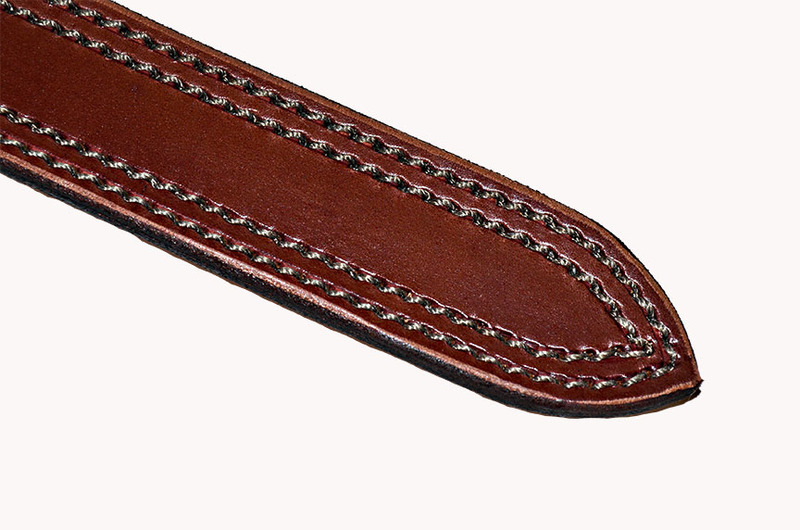 Like all of our belts, the edges are sealed, waxed and hand-burnished. 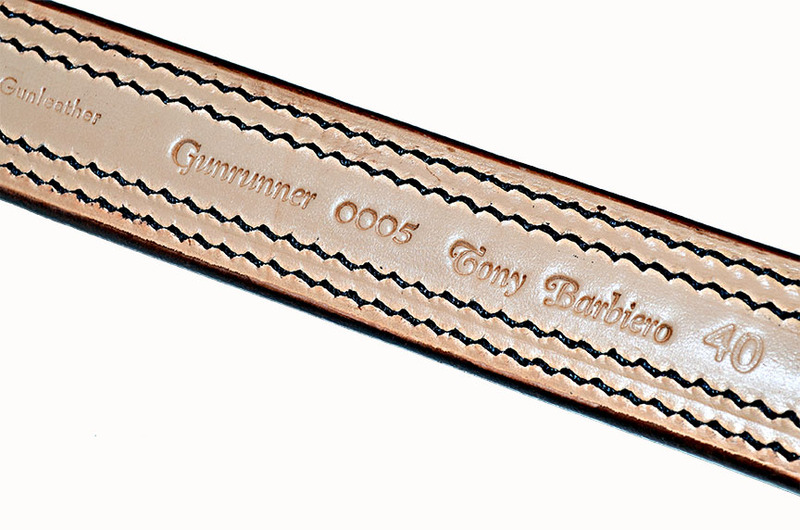 Each Gunrunner is numbered and has the owner's name embossed on the inside. 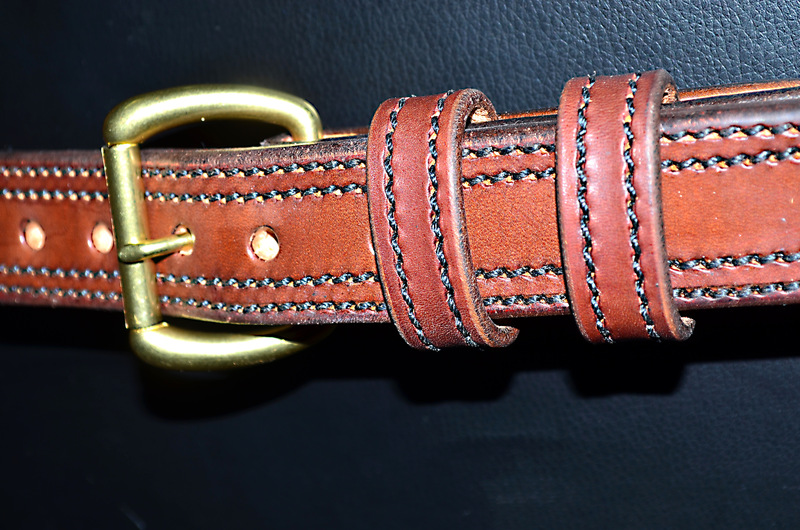 The Gunrunner is $140 in black, brown or cordovan bridle leather; $160 in natural horsehide, if available.